Orchids are celebrated for their exotic beauty, subtle fragrance, and timeless elegance. And with such a wide variety of available styles and colors, they make an excellent choice for wedding centerpieces and bouquets, as well as other special occasions like Valentine’s Day, anniversaries, and birthdays. 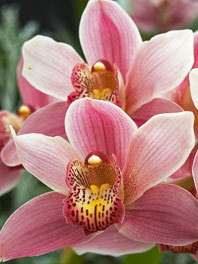 Our online florist team can help you choose the perfect orchid flowers for your upcoming event. Browse our wide variety of orchids for sale and select the style and color that matches your vision, and we’ll get them sent to you cut fresh from our farm. There are over 20,000 known species of orchid flower, each of them with their own symbolism and meaning. As a whole, orchids are revered for their reputation of love, fertility, femininity, and elegance. You’ll find quite a few different colors of orchids in our online flower shop, both natural and tinted. While you may choose your orchids based on the theme or color scheme of your wedding or other event, you may also want to consider the symbolism behind each color. Orange orchids symbolize boldness, pride, and enthusiasm. 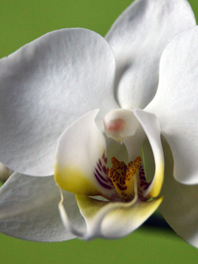 White orchids symbolize elegance, innocence, purity, and reverence. Pink orchids symbolize grace, joy, and femininity. Red orchids symbolize passion, desire, courage, and strength. 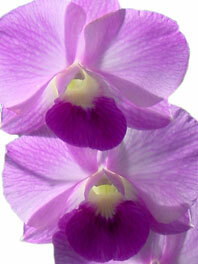 Purple orchids symbolize royalty, admiration, and respect. Yellow orchids symbolize joy, new beginnings, and friendship. Green orchids symbolize life, nature, health, and longevity. Blue orchids are extremely rare in nature, and represent spirituality and meditation. We offer orchids in all of the above colors for flower delivery, including blue and green tinted orchid flowers. Think there’s no such thing as easy, seamless flower delivery? Think again! We work directly with farm partners across the globe to bring you the freshest and most beautiful blooms available. Order flowers for occasions, gifts, or simply to decorate your house with through our online flower shop and we’ll get your flowers hand-cut fresh at one of our farms. Shipping is free to all 50 states, and you’ll receive your flower delivery within three to four days. Are you an event planner or florist? We offer wholesale, bulk flower purchases at great discounts. Planning a wedding? 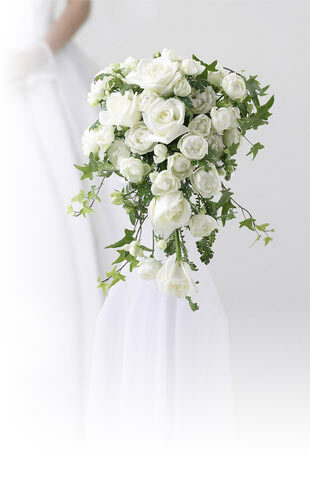 We’ll professionally make your flower arrangements at a fraction of the price of traditional florists. We can even create DIY flower packs so you can put together the arrangements yourself. Beautiful flowers don’t have to be expensive. At Flower Explosion, we sell the best online flowers, including the best orchids, at budget-friendly prices that will give you the “wow” factor you’re looking for without breaking the bank. If you need help selecting the perfect orchids for your upcoming occasion, our online florist team is here to help. Send us a note and we’ll work with you to choose the best orchids and get them delivered right to your door. Flower Explosion makes online flower delivery easy. Browse our site, make your pick, and enjoy.